Mods, please add this to the sticky list in the Reference section. If a similar thread already exists, please add this to the list. This thread is for reference purposes and to list each "known" Baggie that exists for each Character. Palitoy (K) with Made in Hong Kong (vertical text). 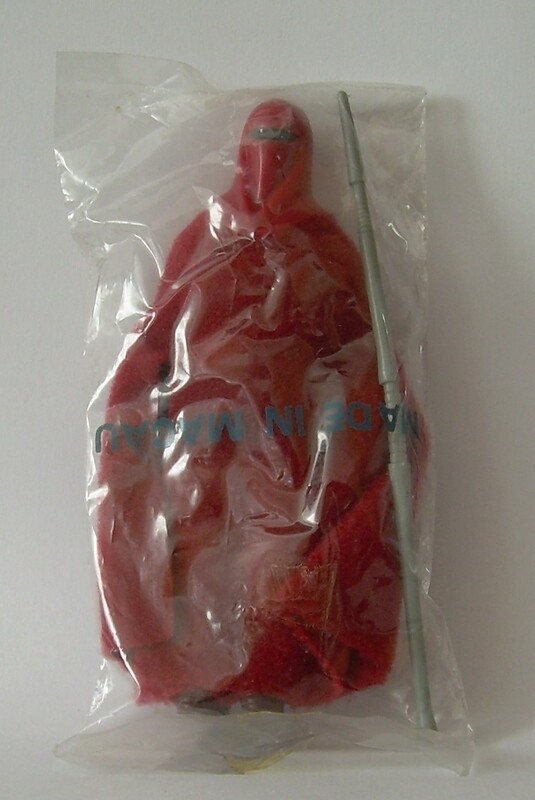 European/Meccano (Heat Sealed/Soft) No Country of Origin on baggie. Thank you for your input Jason, it's greatly appreciated. TIG is planning to develop a new reference thread and with your permission, we would like to include your Jawas! Permission granted. If individual pictures are needed, let me know..
Nice Jawa baggie run you have there Jason, any chance of some close ups of the Palitoy no text & the Parker one please, not sure if the Parker one is correct TBH, but the no text one could be a Euro baggie rather than a Palitoy, would need to see close ups of the seals at both ends to confirm that though. Made In China: Similar to ROTJ-G but not U.S. I would love to see pictures of a sw-a and esb-d jawa baggie. 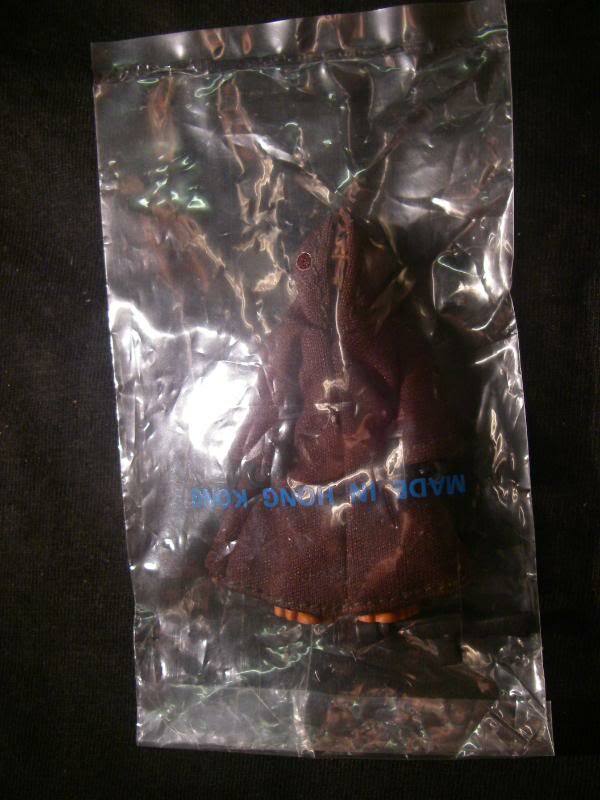 Several baggie experts have told me that a legitimate sw-a jawa baggie does not exist and have some been faked over the years. Each esb related jawa baggie I have ever seen has been tape vice sealed. Very interesting indeed. Thanks for those, I would hedge my bets that the Palitoy one is in fact a Euro baggie - Meccano rather than a palitoy one Jason, is it very soft feel & very thin material?, I could really do with seeing the seals, nice baggie. Here is the ESB-d, I have seen a few examples of it now, but a lot rarer than the ESB-c counterpart you have, the seals are correct for a ESB-d also. Palitoy-i - Text is obscured from view but has the same text as the one above. Yours is the crisp type right? I do not as yet own a SW-a example, but I know of one that just sold in a Palitoy land of the jawas with sealed contense & has been sent in for grading, its history is 100% & came direct from Palitoy via Jim Stephenson so its 100% legit, there are a couple of examples locked up in collections in the states & I have one available to me, sadly its not a sealed one, but is from a genuine childhood collection. Thank you for the information and I truly love seeing Jawa Baggies I did not know existed before now.. A few thoughts though. 1. The ESB-D is awesome and the seals look correct, agreed. I will be making note of this for my ongoing list of Jawa baggies. 2. Yes, the Palitoy Jawa I have is crisp vice smooth. Interesting that there is a variation for this baggie style and it would smoother in texture. Again, making note of this one as well. 3. I will change my description for the "now" Euro/Meccano baggie. Yes, the material is very smooth and much thinner than the other baggies. How many are you aware of? Yours is the second I have ever seen. Where did they come from? 4. Concerning the one I described as a Kenner Parker baggie. 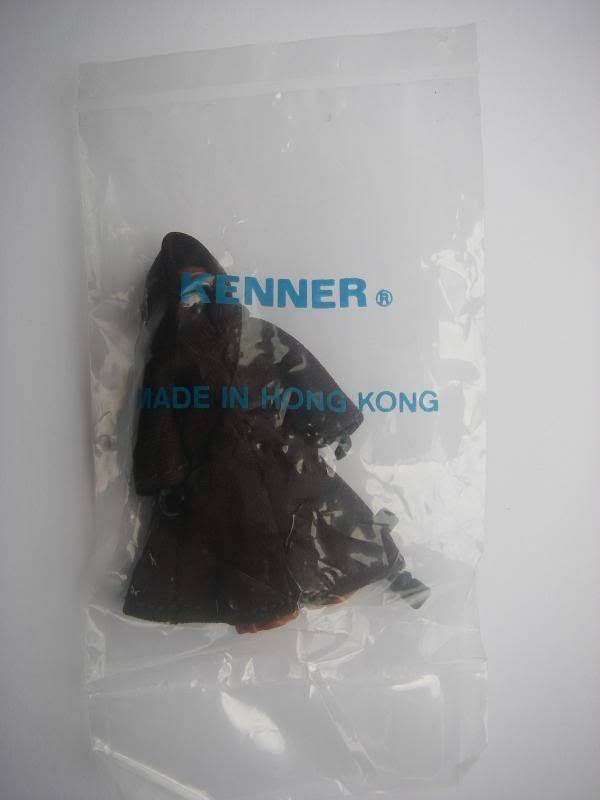 I think you might be confusing this with the BillyBoy specials that came in Super Power types of baggies with Kenner and Made in Hong Kong vice the Kenner Logo that mine has. Unfortunately, I got burned on this as well. I opened the baggie a few years ago and the figure exhibited playwear and the tape showed no sign of yellowing,etc. I have seen at least three other Jawa baggies exactly the same with the Kenner logo and tape sealed across the back sell over the years. One landed on Ebay about eight months ago, I think. 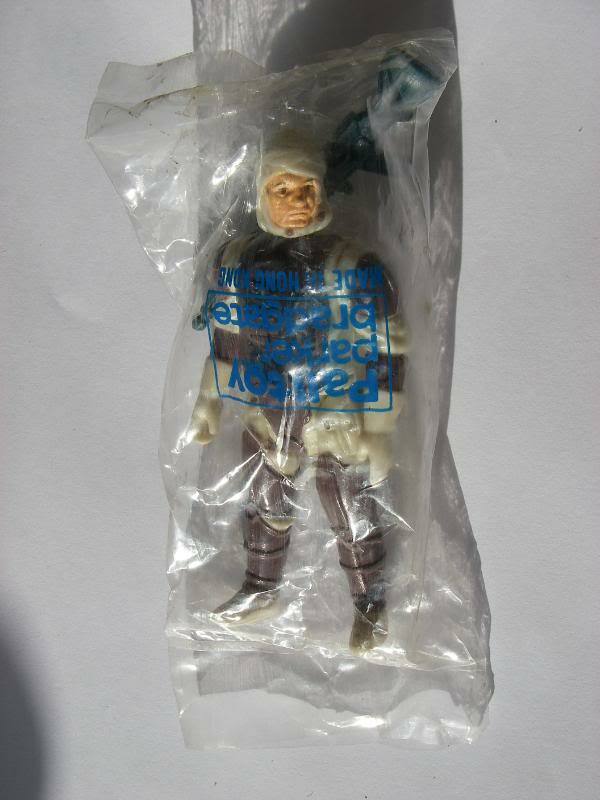 A few UK Collectors described this baggie style as Kenner Parker that might have been available in a mail away. Looking at the Dengar example, you posted, I will agree that Kenner Parker is no longer accurate, but I strongly feel the baggie is legitimate and respect your honesty. For now, I will change my description to "Kenner Baggie". 5. Lastly the SW-A. I remember the Palitoy Land of the Jawas with sealed contents landing on Ebay a few months ago. The ending price shocked me, but the contents were sealed. Why would a SW-A come with this playset, as it makes no sense. Most of the SW-A's represented the earliest characters of the first twelve and the Jawa had been one of the last to be released. Very interesting indeed. I would love to see pictures when available. Of course, if you have an extra ESB-D or Palitoy (smooth tape style) for sale or trade, I would be 100% interested. Thank you for the information and I will post updates to my original post. & would say its actually a Euro-e/A or B rather than the Euro-b I had suspected it was, sorry for any confusion. Must say it would be great to proove the authenticity of the other Kenner blue box one you have there, I had not taken it as a super powers or billy boy re hash BTW Jason. 4. as for the SW-a appearing in the Palitoy LOTJ I can only assume that at some point Palitoy ran out of stock & sent spare over to palitoy to use, this sort of thing has been quite common place & IMH one of the most likely scenarios, I know of one other LOTJ with one & Del a member on here who also used to be huge in to baggies has confirmed he has seen a couple in the states locked up in black hole collections, so its a 100% conformation re the SW-a jawa. Sadly I only have the one of each of the palitoy & ESB-d jawas or I would be happy to do some trades, I will keep my ear to the ground & if either crop up I will shoot you a pm Jason. Great work you have done with trying to identify the jawa baggies & I do hope you take this as intended, as helpful insight rather than a knock as I am just trying my best to help bud. First, thank you for the insight and information. No offense taken at all. We all post here for information and to forge friendships with one another. Cheers for that. 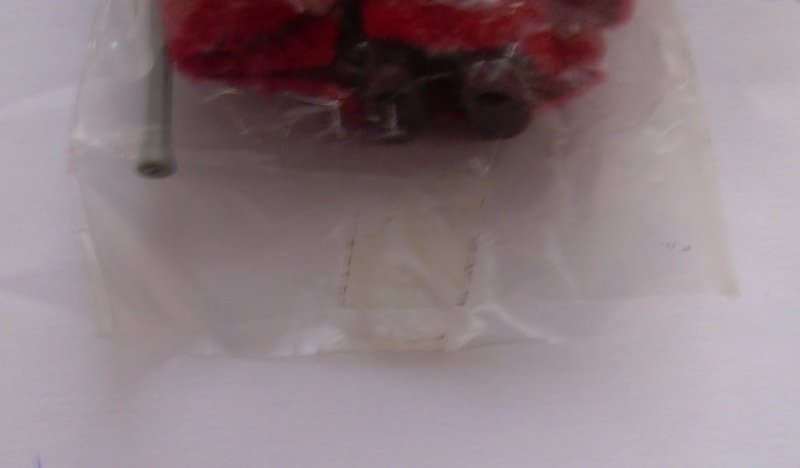 I will try to hunt some more information on the mystery Kenner baggie. Hopefully, something turns up. I will also be on the hunt for a esb-d and the variant palitoy jawa baggie and be very patient for a sw-a jawa to come up for sale. What are the opinions on this Macau baggie? I bought it cheap for the no coo ERG. I have no reason to doubt the seller (I bought it in person). Unfortunately the tape has dried out (hence getting it cheap), but the baggie is a good fit for the figure, and the tape residue / dirt would indicate that it had been tape sealed for a long time. I should still have the piece of tape somewhere. Updates to the Jawa baggie section. I am working on an updated photo. More of a lurker these days, due to me spending a lot of time on Facebook for my "awesome" Jawa group. A few updates for the Jawa baggie thread, to include a sealed Woolies 8 pack with sealed baggies inside and yes, a Jawa is in the mix. ** Found in the Palitoy Land of the Jawas set. Palitoy (K) (Heat Sealed/Soft) BlackVertical Made in Hong Kong text. Palitoy (M) (Heat Sealed/Soft) Blue Vertical “MIHK” text. The Jawa is either loose or is in a sealed baggie. 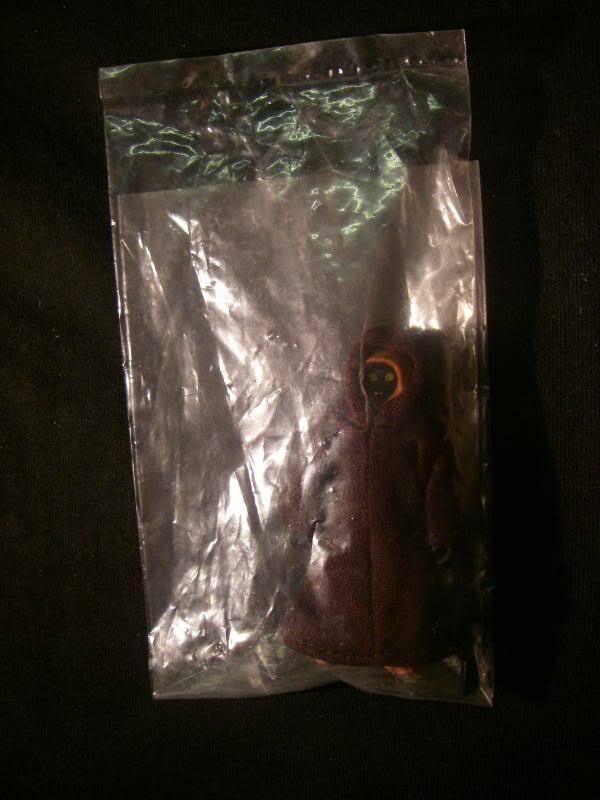 Subject: Re: Baggie Reference Thread.